Phonics is the flagship for literacy adopted by the UK government for teaching reading to boost standards for children, in primary schools. Phonics is the flagship for literacy adopted by the UK government for teaching reading to boost standards for children, in primary schools. Match-funding of £3000, set to run out at the end of March has just been extended to October 2013. Phonics however has been around for a long time and has been taught amongst other methods over the decades. In fact according to “Sounds Familar: The History of Phonics Teaching”, it was around in the 1850′S. Other methods of teaching include the “look and say” approach. The ideology to repeat words on each page enough times that children memorised them. This was founded by American psychologist Edmund Huey in 1908 and came to the UK in the 1940s. In the 1950s and 1960s this method was often taught through the “Janet and John” books. However, in 1955, American reading expert Rudolph Flesch published “Why Johnny Can’t Read”, stating that the “look and say” method was encouraging illiteracy. This influenced policy in the UK. In schools ‘alphabetic reading’ (not phonics) had dominated teaching until the 19th Century. This taught children to name letters of the alphabet in upper and lower case alphabetically through recognition. In the ‘look and say method’, children are exposed to pictures and stories from an early age and will learn to recognise complete words. 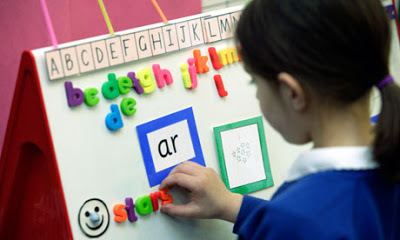 Phonics teaches children to understand words through sounds, rather than the whole words. In early years teaching words are broken up into the smallest units of sound called phonemes. This is known as synthetic phonics. Letters (graphemes) represent phonemes. 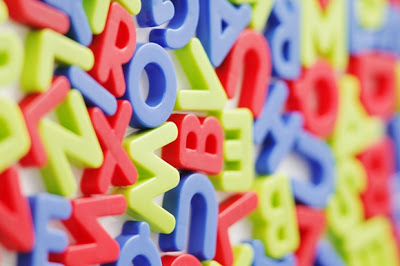 Children are taught to read the letters in a word like ‘d’ ‘o’ ‘g’, and pronounce it as a word – ‘dog’. Phonemes aren’t restricted to one grapheme either. A sound can be made using combinations of letters, like ‘oo’ or ‘ay’ and ‘ough’. There are around 40 phonic combinations.